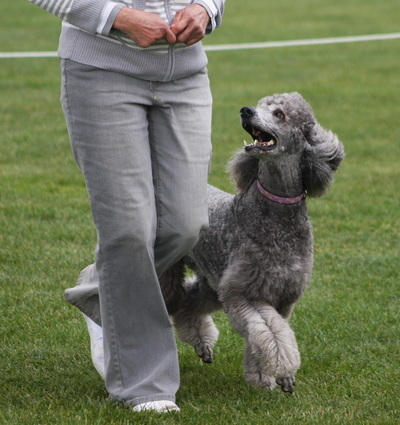 Obedience - The Poodle Club of Victoria Inc.
Community Companion Dog (CCD) - involving basic heel on lead, stand, recall & sit/stay down/stay exercises. Novice (CD) - free heeling, more complex recall & retrieve, longer stays. Open (CDX) - more complex recall, retrieve, stay, jump & handler out of sight exercises. Utility (UD) - finding lost articles, scent discrimination, signal exercises & a range of other complex exercises. 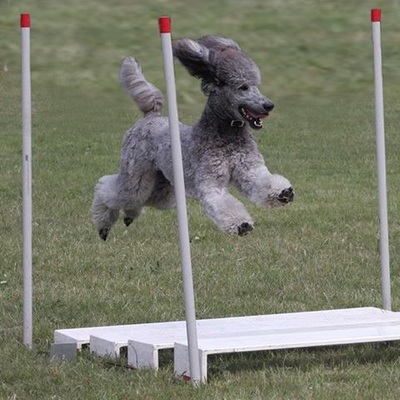 Utility Dog Excellent - (UDX) - complex extensions of the UD exercises. RALLY-O is a new, recently-developed sport. This is a fast moving, obedience-based activity where enthusiasm, competence & encouragement are emphasized rather than precision. 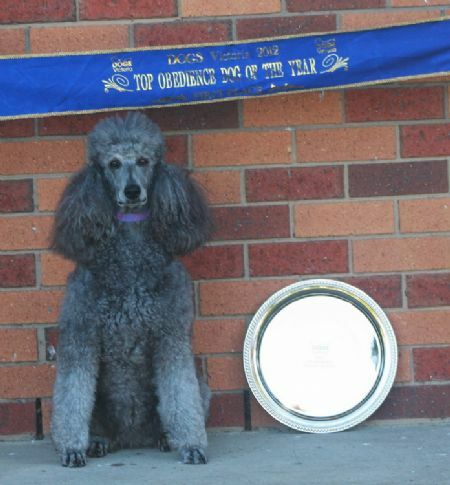 To get involved, contact Dogs Victoria (www.dogsvictoria.org.au) to find an obedience club near you!